Blaine began his career at D&H delivering prescription orders in August of 1969 as a sophomore at MU. Like so many other university students, he appreciated what Columbia had to offer. So, after graduating from UMKC with a degree in Pharmacy, he and his wife, Ann, jumped at the chance to return to town in 1975 when D&H opened a new location on Paris Road. Columbia proved to be a great place to raise 3 children - Darran, Kelly and Patrick. All 6 of his wonderful grandchildren call Columbia home as well. Gene’s first working experience in a pharmacy was in high school. Seeing the pharmacists giving personal care and service for the patients encouraged Gene to become a pharmacist himself. 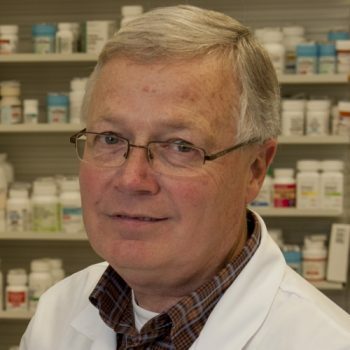 Gene has over four decades of experience in pharmacy services. At D&H he started as a staff pharmacist in the mid 70’s and became a part owner in the early 90’s. He has advised, and been involved in, positions for the profession of pharmacy to better serve and protect the public. He served in State and National Pharmacy Association offices and committees, Missouri State Board committees, and served 30 years as an officer on a pharmacy co-op. Gene has a Bachelor of Science Degree from St Louis College of Pharmacy and is certified in CPR and immunizations. Away from work, Gene and his wife raise poodles. They not only have champions from confirmation, but rescues in their family. He enjoys traveling, biking, and gardening when not caring for his family of poodles. 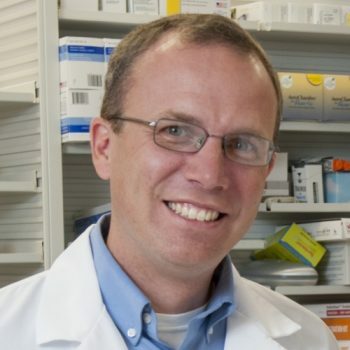 Darran graduated from St. Louis College of Pharmacy in 1997 with a Bachelor of Science in Pharmacy, and completed work on his Doctor of Pharmacy degree in 1998. Darran worked at St. Louis Children’s Hospital as a Pharmacy Intern while in college, and as a Poison Information Specialist at The Poison Control Center at Cardinal Glennon Children’s Hospital while completing his Doctor of Pharmacy training. Upon graduation, Darran returned home to join Blaine, Gene and the rest of the D&H team where he has developed an interest in medication compounding and healthcare information technology. He is certified in immunization and CPR. When not at work Darran and his wife Tanya enjoy the challenge of keeping up with their 4 children, three leopard geckos, two cats, one dog and a frog. 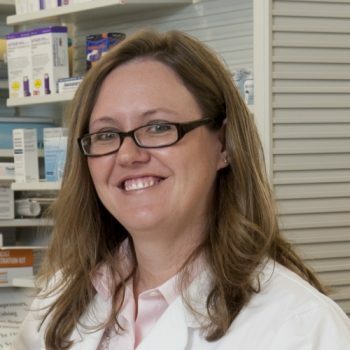 Tanya graduated from St. Louis College of Pharmacy in 1997 with a Bachelor of Science Degree in Pharmacy. After graduation, she began working in inpatient pharmacy services at the University of Missouri Hospital and Clinics. 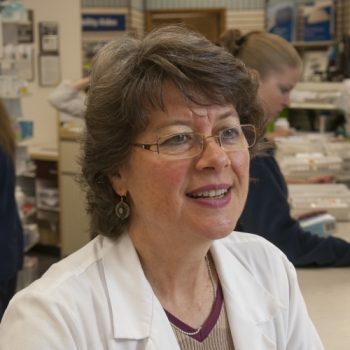 In 2001 she began working at D&H Drugstore and continues to be part of the team. Tanya has completed her Immunization and BLS/CPR Certifications. She also provides Medication Therapy Management Services and is a certified consultant for RX Skin Therapy. Tanya has been our Partner in Education coordinator with Midway Heights Elementary, volunteering in the classroom and coordinating events such as the annual read-a-thon and winter card contest. She also is a Junior Achievement volunteer, teaching first graders the importance of jobs within the community and participating in career days. Tanya and her husband, Darran, live in Rocheport with their four children. She is an active member of the Midway Heights and Smithton PTA, and is on the Children’s Ministry and Curriculum teams at the Missouri United Methodist Church. Muriel carefully processes many prescriptions, working with a team of several pharmacy technicians and the ever-valuable robot, ensuring that patient medication needs are fully met so as to adequately treat their health needs. She also has considerable knowledge and experience of dietary supplements/botanicals and enjoys talking with patients about their uses, while always considering potential drug interactions with these products. In addition she provides advice on OTC (Over The Counter) medication use, and the safe and effective way to treat minor ailments, and when it would be advisable to see a doctor or other healthcare provider. Muriel has considerable experience in managing diabetes (type 1 and 2) and is also involved in the shared teaching of the Diabetes Self-Management Education classes held at D&H Drugstore from time to time. In her spare time, she is involved in her church, local community and also enjoys visiting with her children and grandson, as well as landscape gardening and sailing with her husband. 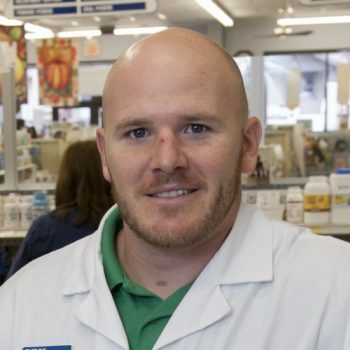 Scott graduated from the University of Missouri – Kansas City School of Pharmacy in 2011 after first becoming interested in the pharmacy field while working on his undergrad at NWMSU. He enjoyed interacting with the patients and was fascinated by the way the pharmacists could help patients meet their healthcare goals. This patient-centered process has driven Scott all the way through pharmacy school into his current practice. 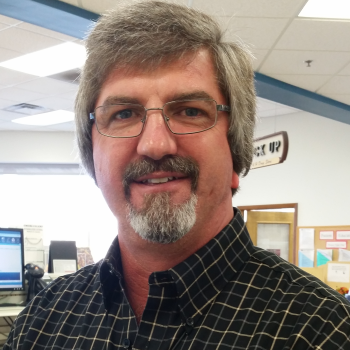 Scott has worked primarily in the retail setting and started working for D&H in 2013. Scott holds certifications in CPR and Immunizations. When not working in the pharmacy Scott enjoys spending time with his family and friends. Scott’s special interests include competitive sports, working out, hunting and fishing. Scott resides in Columbia with his wife Victoria. Scott grew up working weekends in his fathers drug store in Kansas City. He decided to follow his fathers footsteps as a pharmacist after seeing how dedicated pharmacists are with their patients health care needs. After graduating from UMKC with his degree in pharmacy, he has worked in many positions including staff roles, Manager, PIC, District Manager, Regional Director of Operations and ownership of 2 of his own pharmacies. 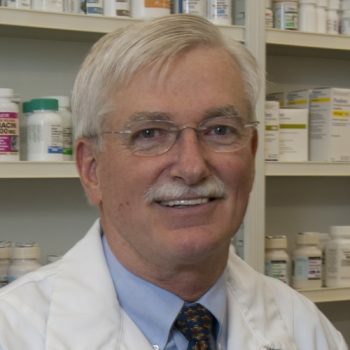 With over 30 years of experience, Scott has valuable insight on providing the highest standards of pharmacy excellence. Scott has certifications in Vaccine Administration, BLS/CPR & Medication Therapy Management. In his spare time he loves being outdoors, hunting for Native American artifacts, hiking, boating and fishing. He has been blessed with a loving wife (Gayla) for over 30 years. They are active members in service to their church and community. Scott is relocating to the Columbia area with his wife after previously living at the Lake of the Ozarks. They have a daughter (Bailey, earned BSRN degree as RN) and son-in-law (Bryson, Masters in HR) who also reside in this area. His son Brandon (degree in Journalism/MU, & Law, StLU) and wife Lindsey (BS Journalism) reside in Lee's Summit. All 4 having earned degrees at MU and beyond. Heather Worthington is a 2014 graduate of UMKC School of Pharmacy at the University of Missouri. Heather's initial interest in pharmacy came in high school while preparing for college and considering majors that would let her pursue her passion for helping others and for science. 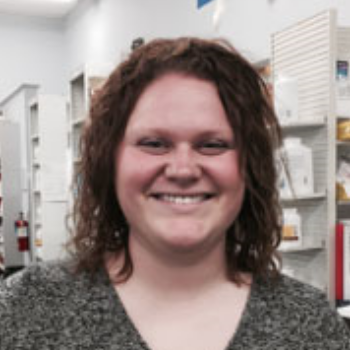 While working as an intern during school, Heather was able to recognize that patient interaction and counseling were her favorite parts of working in the pharmacy field. During her time in the UMKC School of Pharmacy she was able to take part in multiple projects reaching out to the Columbia community by performing blood pressure and diabetes screenings, education on prescription drug abuse, and assessing falls risk with medication reviews. Heather is originally from Raytown, MO but now calls Columbia home with her dog, Jake. She enjoys reading, cheering on Kansas City sports teams, and spending time with family and friends.